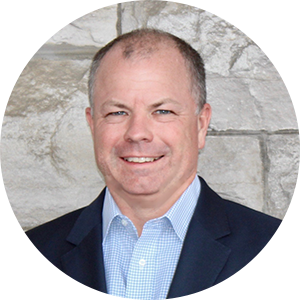 Aaron Boyll joined TruQC as President in 2018 after serving as an advisor to the company for several years. Aaron’s career has exposed him to leaders with discipline and dedication to doing whatever it takes to solve the problem the right way, and he’s excited to be a part of an organization that relies on these values as its foundation. Before joining TruQC, he served as Vice President of Corporate Development at Cequel III in St. Louis, Missouri. In his 12 years at Cequel III, he helped lead the company through a series of transactions in the wireless telecommunications and cable industries totaling more than $21 billion and led various business development and operational improvement initiatives for Cequel III portfolio companies. He co-led Cequel III’s first venture investment, a minority stake in machine learning software company DxContinuum, serving on the Board of Directors through the sale of DxContinuum to ServiceNow in early 2017. Aaron is also a member of the board at Varcode, Ltd., an Israeli company focused on blockchain temperature monitoring of perishable goods such as foods and pharmaceuticals. After earning a B.S. in Metallurgical Engineering from Missouri University of Science & Technology, Aaron worked for General Motors and Toyota North America in production engineering. He then earned an MBA from Washington University in St. Louis and joined Emerson’s Process Management Division in Strategic Planning and Business Development. Aaron lives in St. Louis with his wife and two teenage daughters. He and his family are happiest outdoors with a particular affinity to being anywhere near water.